ArcPORT Airside provides a platform for the evaluation of airfield and airspace processes such as stand allocation and capacity, the impact of different inbound and outbound routes on taxi times, terminal interfaces, apron management, delays, conflicts, ground service equipment deployment, de-icing, tow-off operations, terrain mapping and clearance, airspace routes, sectors and holds, obstruction surfaces, taxiway and runway management including take-off and landing sequencing, and much more. 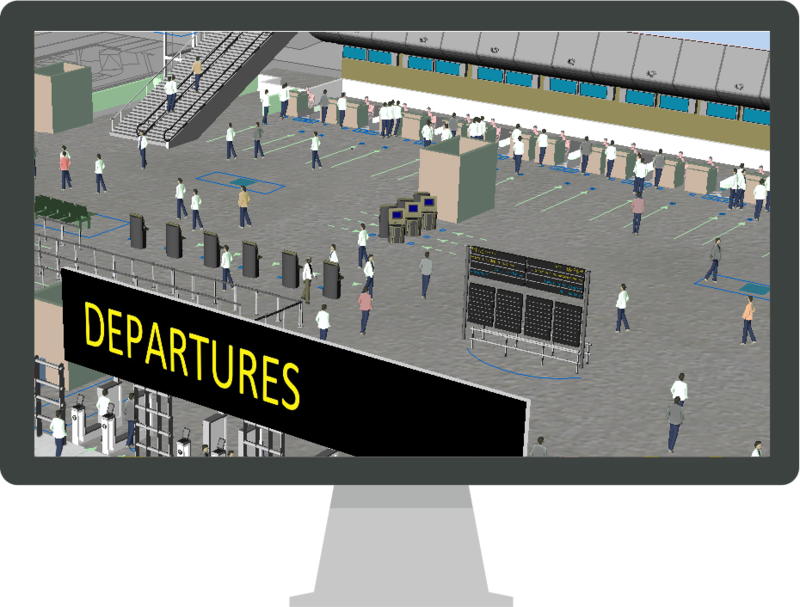 ArcPORT Landside allows airport operators to evaluate the impact that landside processes have on airport operations. This includes queuing at intersections, adequacy of parking facilities, curbside operations, public transportation, taxi operation, airport access, exits and through traffic, locations for pick-up and drop-off curbsides for taxis, private cars, buses and other public vehicles, of different routes for different vehicles to and from the airport facilities, signalized versus non-signalized intersections, roundabouts versus intersections, number of shuttle buses needed for operations between parking lots and the terminals, and much more. With presentation-ready data tables, graphs, movies and images, as well as specialized illustrations of moving objects, including heat maps and tracks, ArcPORT’s unsurpassed power and flexibility allows its users to convert technical analyses into professional output to succinctly communicate with stakeholders at all organizational levels.